Please note our Pixma MG7150 ciss, Pixma MG7150 bulk refill ink and Pixma MG7150 ink cartridges are not made by Canon this is a registered trademark and we use the term for descriptive purposes only. These Canon compatible Pixma MG7150 ink cartridge are refillable and ideal for schools, colleges, Professional and amateur photographers as well as the home user and they will slash your printing costs. Cheap running costs from just £0.84 per cartridge. We offer a 12 month warranty on our Canon compatible Pixma MG7150 ink cartridges and after that period we can always supply spares at cost, with ciss systems & Pixma MG7150 ink cartridges for Canon you get what you pay for - with our Pixma MG7150 ink cartridges you get 12 months warranty and a lifetime of free technical support whilst you have the product. We use a premium grade inks from US raw materials, its made to a high specification this ensures a wide colour gamut and vivid output on your Canon Pixma MG7150 ink cartridge. It has high end UV absorber components added to prolong ink life and durability; this means prints do not fade at the same rate as generic Pixma MG7150 ink cartridges in cheaper systems. 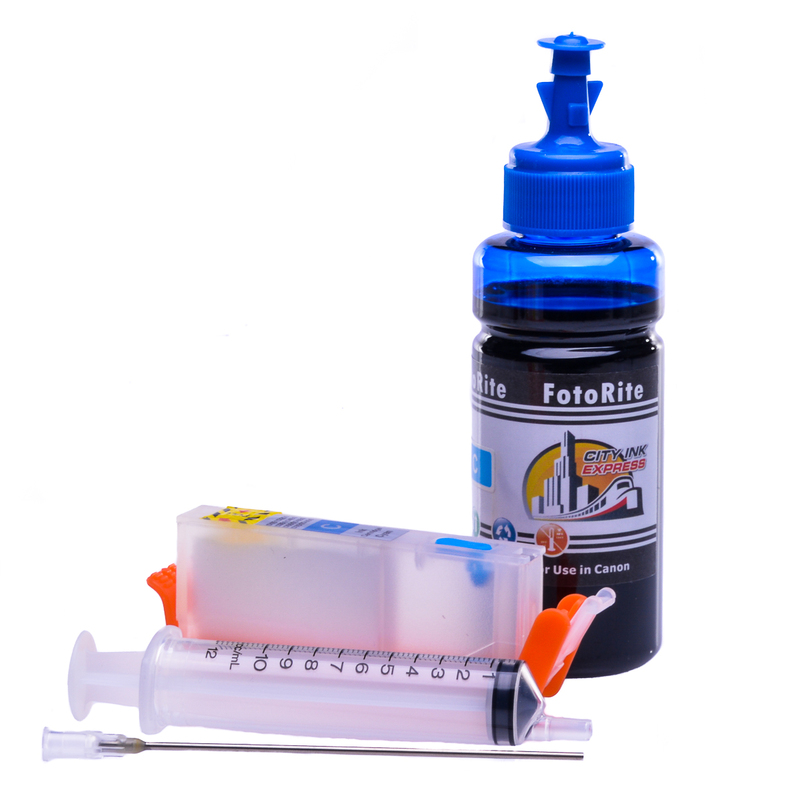 FotoRite ® Canon Pixma MG7150 ink cartridge refill for Canon is also profiled to print series (not universal as many of our competitors use) we have over 140 different types of ink for our range of Ciss & ink cartridge replacing the ink cartridges. 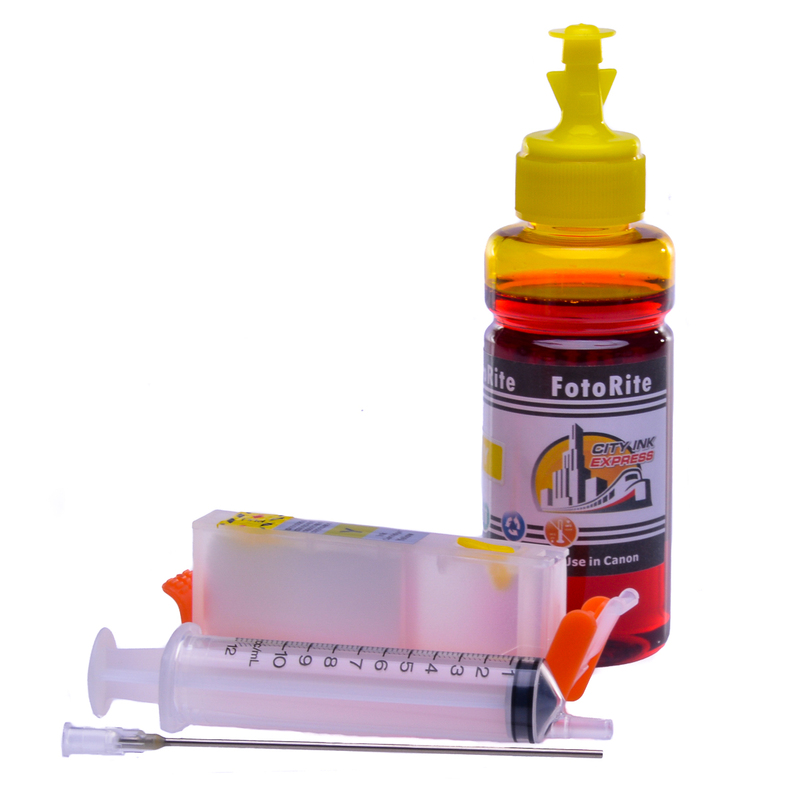 FotoRite ® refill cartridge ink for the Canon Pixma MG7150 ink cartridge will produce excellent results with a good range of tones and is used by 1000's of customers including professional and amateur photographers across the globe. In summary by purchasing the Canon Pixma MG7150 ink cartridge it is refillable and from us you will get. 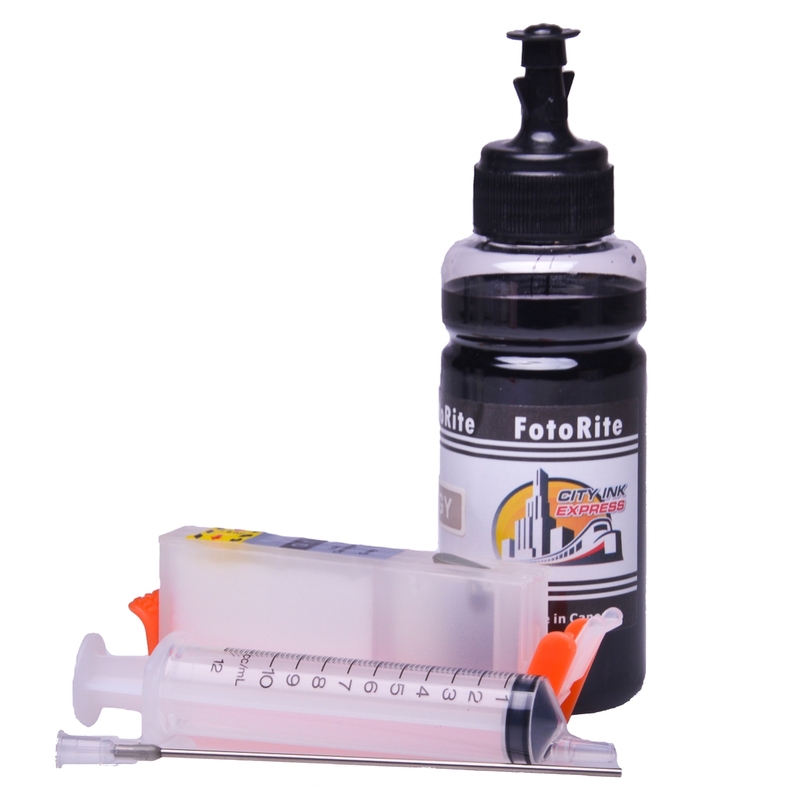 For running costs and technical data for the Fotorite inks for the Canon Pixma MG7150 ink cartridge see below. 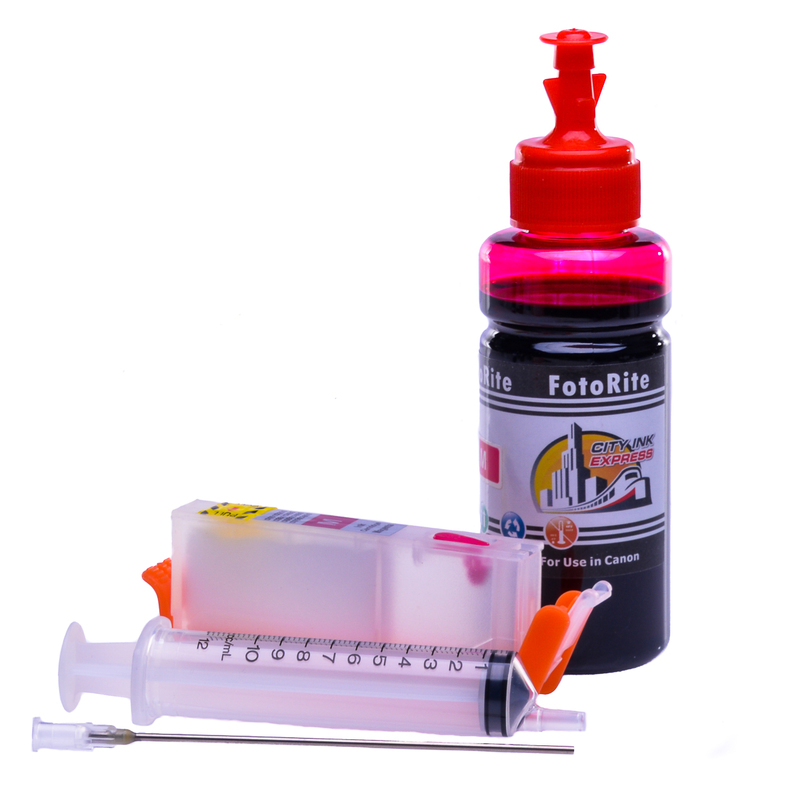 7.0 Pigment Black = 7 refillable ink cartridge in total. 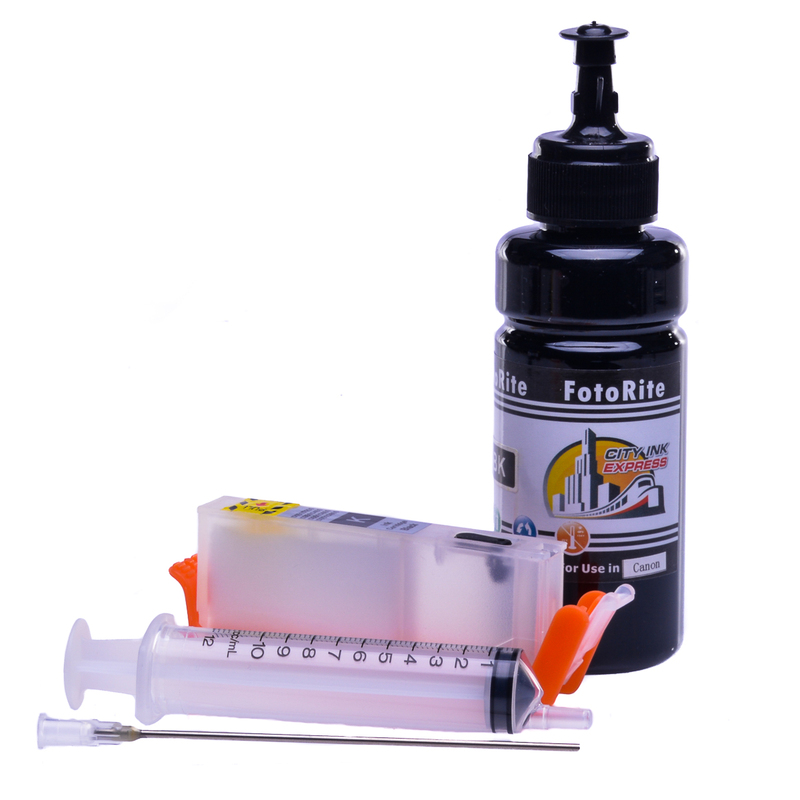 To fully refill the system with 100ml of ink costs under £6.18 which makes the running cost per refillable ink cartridge less than £0.84 pence.